Never, ever cry... Eureka Boudreaux's mother drilled that rule into her daughter years ago. But now her mother is gone, and everywhere Eureka goes he is there: Ander, the tall, pale blond boy who seems to know things he shouldn't, who tells Eureka she is in grave danger, who comes closer to making her cry than anyone has before. But Ander doesn't know Eureka's darkest secret: ever since her mother drowned in a freak accident, Eureka wishes she were dead, too. She has little left that she cares about, just her oldest friend, Brooks, and a strange inheritance, a locket, a letter, a mysterious stone, and an ancient book no one understands. The book contains a haunting tale about a girl who got her heart broken and cried an entire continent into the sea. Eureka is about to discover that the ancient tale is more than a story, that Ander might be telling the truth... And that her life has far darker undercurrents than she ever imagined. From Lauren Kate comes an epic saga of heart stopping romance, devastating secrets, and dark magic... A world where everything you love can be washed away. Eureka Boudreaux can't remember the accident, or why she survived when her mother is presumed to have perished. Now, she's meeting her latest therapist, just one of many who have been hired by Rhoda, Eureka's stepmother, who have tried to coax the seventeen year old into voicing why she's attempted to take her own life. Lethargy and apathy have now replaced her determination to join her mother, but still Eureka continues to retreat from the world. Eureka hasn't allowed herself to cry for her loss, and hasn't shed a single tear since her parents separated, the night her mother warned her not to cry... Ever. Now, living with her distant father, her confrontational stepmother and twin step siblings, Eureka has never felt more lost... Or alone. When Ander plows into Eureka's truck on an isolated Bayou back road, she never imagined that her life could become any more complex. Overwhelmed, a single tear slips from Eureka's eye... And the storm clouds begin brewing. Ander is a complete mystery, he claims to attend a rival school, has a contact phone number where he doesn't seem to exist, and Eureka can't stop her mind from wandering towards the boy with eyes the colour of the ocean. But for a boy she's supposedly never met before, why does he seem to have a history with Eureka's best friend Brooks? Ander seems to know more about Eureka than he is willing to admit, but who is he? Each day Eureka relives the pain of losing her mother, especially when her last will and testament is read. Her mother didn't own anything of value, but sentimental items that she has now left in Eureka's care. Her mother has bequeathed her vintage copper locket, having never taken it off until the weekend of her passing. A green leather bound book that seemed to be older than time itself. Written in a foreign hieroglyphics on an ancient parchment and Eureka can't understand a word of it, apparently, neither could her mother. The last item is what her mother had referred to as a Thunderstone, wrapped in a heavy gauze and placed inside a small wooden chest and accompanied by a letter. Her mother asks her not to cry and t leave her pain behind. To hold onto the powerful Thunderstone, to wear her mother's locket to help guide Eureka on her way and to enjoy the ancient book. Eureka only wishes she could relate to her father again, but to show how distressed she is, would only mean stepmother Rhoda would insist Eureka be placed on suicide watch. With friend Cat in tow, Eureka decides it's time to discover who Ander really is, heading to the rival school, where Ander isn't enrolled. But wherever she turns, he's lurking. The best way to purge Ander from her thoughts, is to spend time with Brooks by heading to the local ocean lake. She hasn't been near a large body of water since her mother passed, but no doubt Brooks would help her through any crisis that arises. But when Brooks is nowhere to be found, Eureka begins to panic. The normally still body of water begins to churn and rise, creating an inland tidal wave that brings his body surging towards shore... Very much alive and now the target of Eureka's fury. Brooks has taken an unnatural interest in the belongings Eureka's mother has left her, especially the ancient text. Brooks seemingly understanding passages while whispering his delight, forcefully offering to care for the book until Eureka is ready to have it translated, but she won't allow the book to leave her possession. A slightly awkward situation between two friends suddenly switches to passionate kissing, morphing into hurtful and explosive abuse. Brooks has been the one person who has never judged her, who she felt comfortable enough to confide in, and now she's on her own. Fortune teller Madame Blavatsky is Eureka's last hope, surely a storefront palm, tarot card and tea leaf reader couldn't translate the ancient writings. It's called The Book of Love, and Madame Blavatsky claims the book is a family tome, and rare find that stays within each family line and that Eureka's mother Diana was the last name within a list of family members who have owned the book. Madame will translate the works for a small fee and update Eureka via email. But with knowledge comes power, but compulsion is driving her to seek what her mother has hid. Eureka is in danger, and from the person she would least suspect and he seems determined to ensure she cries, and nothing seems to be off limits. But as the translation slowly blends together, the fable sounds strangely similar to the situation Eureka finds herself in. The fable tells the story of a young lady who experienced such tremendous heartbreak, that her tears open a fissure to a new world. Ander is a Seedbearer, who has watched Eureka her entire life. Guardians of Atlantis who will do anything to stop Atlantis being raised... But can he allow Eureka's life to end, the girl he's so desperately fallen for? 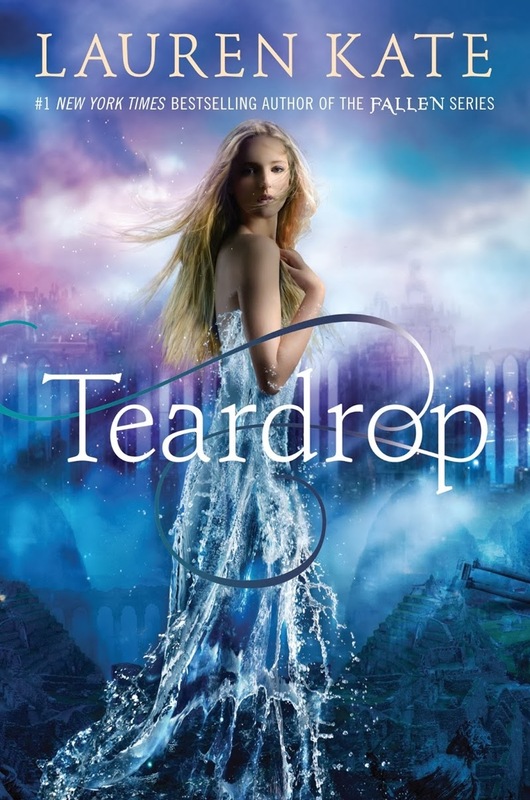 Teardrop is a unique concept, a seemingly normal teenage girl being able to raise the lost city of Atlantis with her tears. Eureka's mental health is fragile and not surprisingly, the breakup of her family unit, her father remarrying a woman who only cares for Eureka enough to completely dictate her life and the heartbreaking death of her mother in a freak accident, in which Eureka escaped. She's withdrawn and lives with survivors guilt. Her father now has two small children and unable to relate to his grieving daughter, allowing his new wife to send her to an assortment of therapists. It's no wonder she barely values her own life. Most readers will be able to relate to Eureka's emotional turmoil, the hopeless struggle we all face at some point. But sadly, Eureka is frustratingly naive and helpless. Throughout the storyline, it's clear that Eureka should be less accepting and question what is going on around her. Why Brooks, a boy she's known her entire life, suddenly seems like a stranger, why he and Ander clearly have a history and why he shows an unhealthy interest in the ancient text her mother left her. As soon as Ander breezes into Eureka's life, Brooks is suddenly romantically interested. As eighty percent of Teardrop surrounds Eureka's daily life, I only wish a less dense, less judgemental and less annoying character was created. I really enjoyed the last few chapters, where the villain becomes apparent, the truth about Ander is revealed and the catastrophic climax that ensues, the story fillers were intended for teem readers, who will probably inhale the new potential book boyfriend in Ander. I'm undecided whether I would continue the series, based on whether the second installment is held underwater within the lost city, or not. 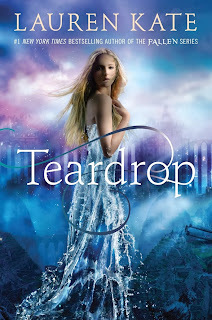 I wasn't a fan of Lauren Kate's Fallen series, but Teardrop isn't too bad at all for it's intended market. Thank you to Random House Australia for a review copy. Great review for this one, I have this to read on my shelf too! It's a shame the main character is whiny and dense, seems like we've wised up to those types of characters these days.